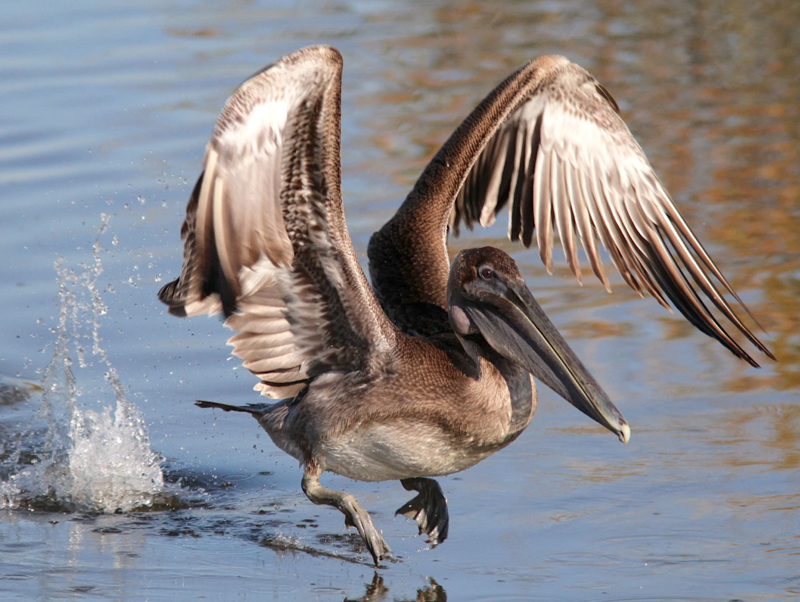 Brown Pelicans are permanent breeding residents on Abaco, and not uncommon in certain areas though not be any means throughout the island and the cays. 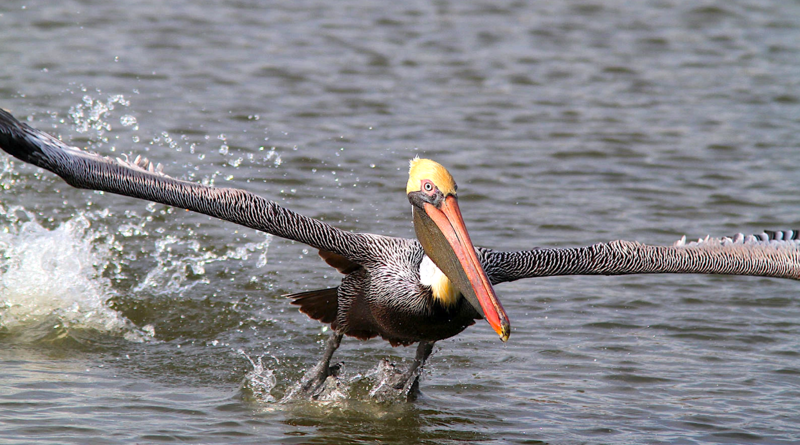 If you come across a pair of them – or preferably a group – it’s well worth spending some time watching them in action. 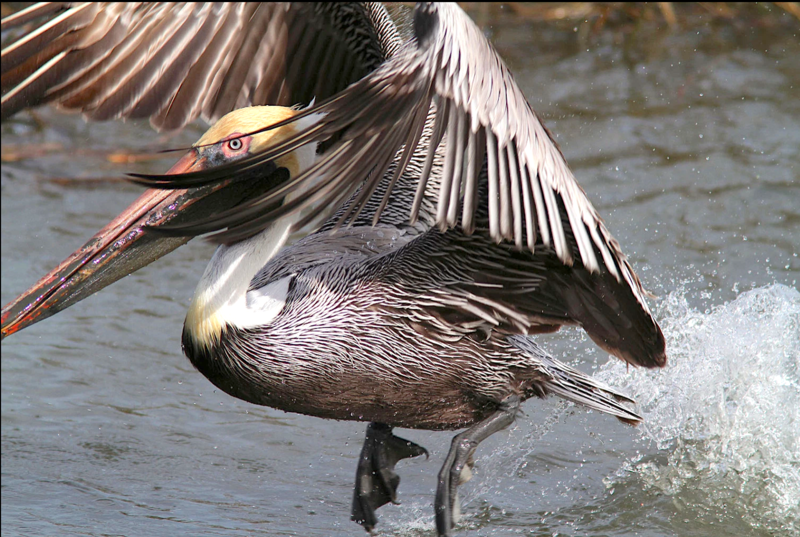 These are magnificent birds, unafraid of humans and happy to carry on fishing / plunge diving with an audience. The most reliable place I know of to watch the pelicans on Abaco is Sandy Point. 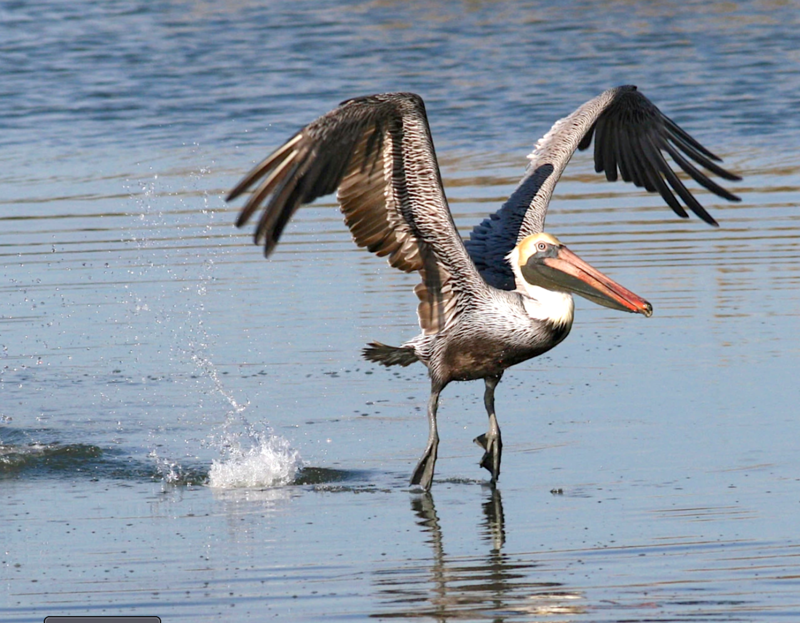 You may find them on the dock, drying their wings on the pilings or diving off it for fish. At other times, they will be further out to sea where the sandbars stretch out into the ocean, taking off and gaining height before smashing straight down into the water. 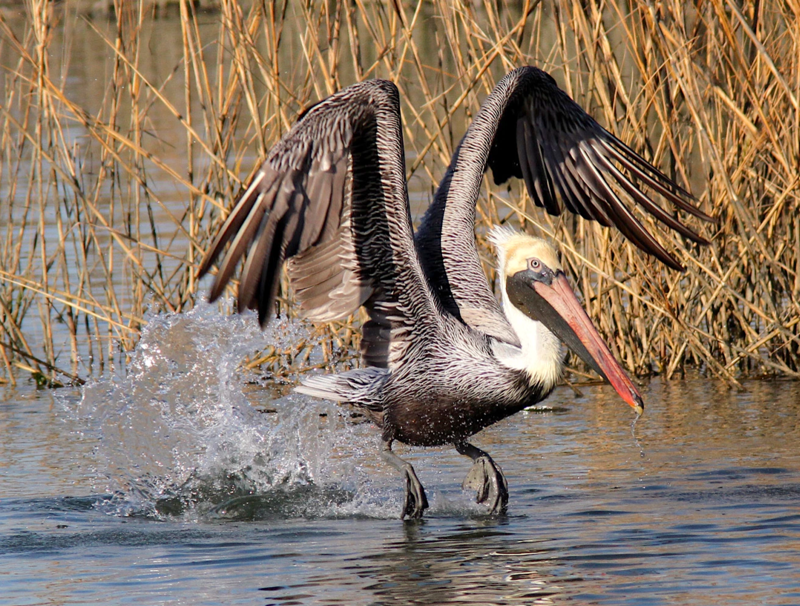 These wonderful images of pelicans taking off and landing are the work of professional photographer Phil Lanoue, whose work I am always excited to feature. He has the skills, the equipment and the eye to produce outstanding photographs, freezing birds in motion with complete clarity. 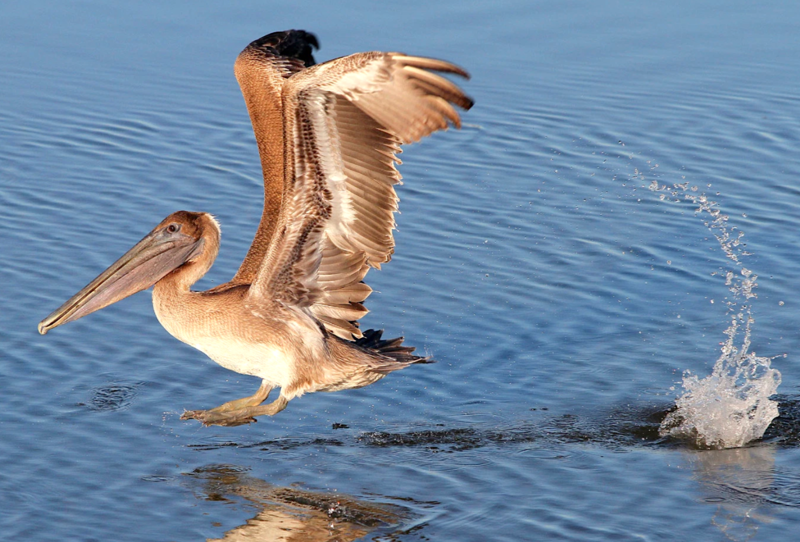 If anyone reading this knows of other locations on Abaco where pelicans can reliably be found, I’d be very pleased to hear more!